Monday, the חניכים (campers) spent the day celebrating Lisa Rubins, our programming director who has spent her last 40 summers at Yavneh. Tuesday was our last normal day for the month, which makes us so very sad!!! 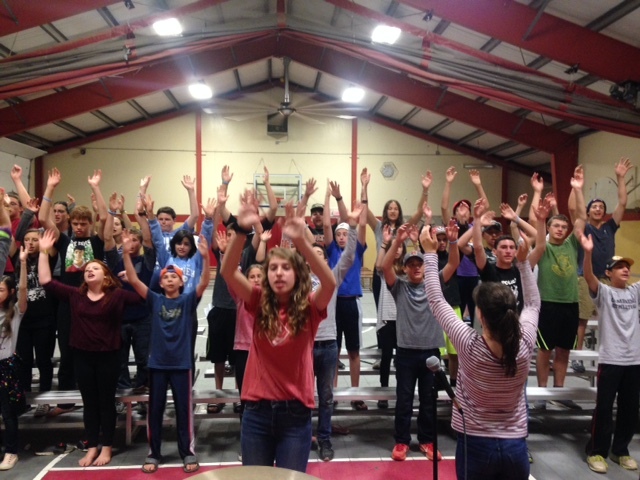 In the afternoon the חניכים practiced for Zim, and in our unbiased opinion they sound amazing! The בנים (the boys) practiced their camouflage abilities in טֶבַע (nature) and played soccer, while the בנות (girls) played basketball, jumped on the Kangaruach. Afterwards all of the חניכים did pottery and learned how to make stamps in א ומנות (art). In the evening all of the מחנה (camp) got together to watch the best camp play ever known to מחנה Yavneh. Leviim’s own Adina, Emma, and Marty helped with crew, making our עדה (age group) so very proud. Yesterday, in the morning our חניכים watched The Secret Life of Pets!! Several Zim rehearsals and much excitement later, the חניכים went on a super relaxing walk around the אגם, ending by the water back at camp, where we all enjoyed an incredibly relaxing free swim. In the evening before even more excitement and rehearsing for Zim, Leviim participated in a Road Rally!! 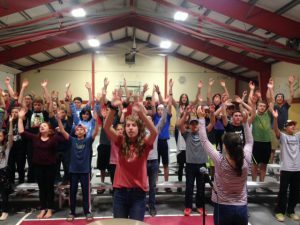 חניכים ran around the camp with a scavenger hunt-like list, participating in tasks such as making a human pyramid, making 10 3-point shots at the basketball court, and having a conversation with a מורה (teacher) using only Zim hand motions. Our חניכים are so incredibly excited for tonight. They having been working so hard and we cannot wait to see what amazing performances are to come. Feel free to tune in to the Yavneh live stream! !